A company that promises to develop novel lifesaving cell therapies has attracted additional seed funding from major investors, bring it one step closer to commercialising ground-breaking cell therapy research. Cell Mogrify, co-founded by Monash Biomedicine Discovery Institute (BDI) researcher Professor Jose Polo, will use the total raised $3.7 million to market novel intellectual property (IP) and cell types generated using its proprietary direct cellular conversion platform, which will power the development and manufacture of lifesaving cell therapies across all therapeutic areas. The funding round was led by existing investor Ahren Innovation Capital (Ahren), with 24Haymarket and Dr Darren Disley also investing. The seed funding will enable Mogrify to advance its systematic big-data science approach, powered by next-generation sequencing and gene-regulatory data and first published in Nature Genetics in 2016. This is aimed at identifying the optimal combination of transcription factors (in vitro) or small molecules (in vivo), needed to convert any mature cell type into any other mature cell type without going through a pluripotent stem cell, or progenitor cell-state. It’s this approach that makes Cell Mogrify uniquely placed to address the issues of efficacy, safety and scalability currently associated with cell therapy development and manufacturing, which is estimated to represent a $30 billion USD market opportunity. 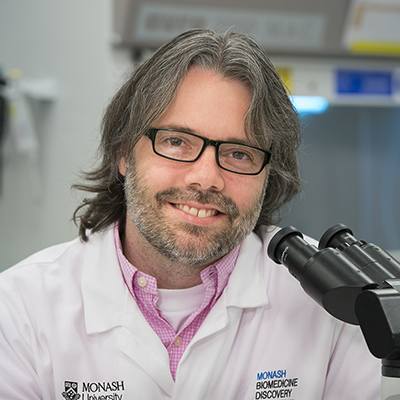 Through its internal development and partnership programs, which includes Monash BDI, Mogrify is also positioned to directly address growing markets that are unserved by approved cell therapies, such as cardiac repair and cartilage regeneration end-user markets, estimated to be worth $120 billion USD and $7 billion USD by 2022 and 2025, respectively. “This is great news for Cell Mogrify and the field of cell reprogramming in general. Not only will it allow the company to keep developing these technologies towards therapeutics outcomes, but it also highlights that years of fundamental academic research have now started to reach commercial track and interest. This is imperative if we want to translate the findings of our labs into the clinic,” Professor Polo said. Mogrify’s leadership team is of significant commercial and scientific calibre. The Company was founded by leading academics in cell reprograming, Monash BDI’s Professor Jose Polo; bioinformatics, Professor Julian Gough (Laboratory of Molecular Biology, Cambridge, UK); and machine learning, Assistant Professor Owen Rackham (Duke-National University of Singapore, Singapore), and is chaired by Professor Steve Jackson, FRS, Ahren Science Partner, originator of Olaparib/Lynparza, and University of Cambridge Professor of Biology. Dr Darrin M Disley has been appointed as CEO of Cell Mogrify. Dr Disley is a renowned scientist, entrepreneur, angel investor and enterprise champion who has started, grown or invested in more than 40 start-up life science, technology and social enterprises. He was appointed OBE in 2018 for his services to business and enterprise in the healthcare sector. “Direct reprograming between mature human cell types is a holy grail of regenerative medicine and pharmaceutical applications. We will commercialise the Mogrify cellular trans differentiation platform via IP licensing, product development, internal and partnered drug development. I am thrilled to be working with a world-class multi-disciplinary founding team, and a lead investor with founders of rarely matched scientific pedigree, as we rapidly expand to address the global cell therapy opportunity,” Dr Disley said. “To have the backing of such high-profile investors at this stage in the company’s development is testament to the strength of both the Mogrify technology and the promised growth potential offered by a highly scalable business model. I look forward to working with Darrin as CEO. I believe we have a shared mission to transform the future development of lifesaving cell therapies,” company director, Professor Julian Gough, said. This article is based on the media release originally published by Cell Mogrify.